Last year 53,000 Kiwis moved to Australia with the hope of a better a life. This trend is set to continue in the coming years. They reckon more than 600,000 Kiwis now call Australia home – a fair number of kiwis in oz given NZ’s population is 4 million. This correspondent first called Australia home in 1999 as a young 20-something Kiwi in the bright lights of Sydney. However on 6 June 2013 after 14 years in Oz, I ticked the “leaving Australia permanently” box on my departure card shortly before boarding a one-way flight to my home town of Wellington, New Zealand (Mrs kiwisinoz will follow shortly after finishing employment duties). The warmer temperatures of Oz, higher coin, and other factors that drew the 600,000+ kiwis to Australia were no match for the pull of family and the good old kiwi culture for this correspondent. Thank you Australia, I am indebted to you for all you have done for me over the last 14 years, but it’s not you, it’s me. We will definitely remain friends and I will call you and visit you in the years to come – I truly will!. Leaving Oz permanently – it’s official! Enough of the sentimental stuff. It was only right that I ended my time in Sydney with a return to the pub I frequented the most (there’s no stats to back that statement up). The Beach Road Hotel in Bondi was the centre point for a number of different flats I lived in. 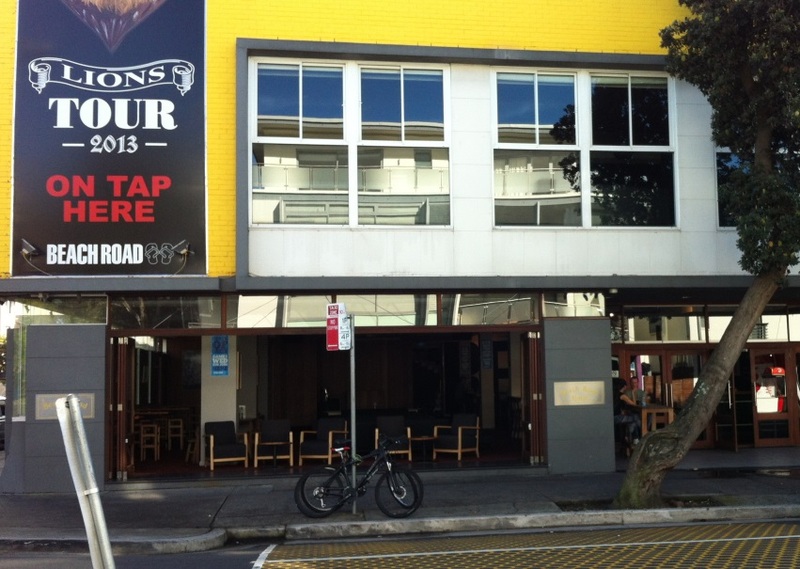 At one point I lived 2 blocks to the right, then when I moved, I literally moved 2 blocks to the left of this all-time Bondi fav (I look forward to seeing some comments below this blog making the connection using 3 key words – kiwi, Bondi, unemployed). The Beachy as its affectionately known as is located a few blocks back from the famous Bondi Beach, it’s often missed by tourists who stick to the main drag of Campbell Parade. This place has it all for everyone. A huge sports bar at the front, a restaurant in the middle, and a beer garden out the back. It had a dance floor upstairs back in the day, probably still does. 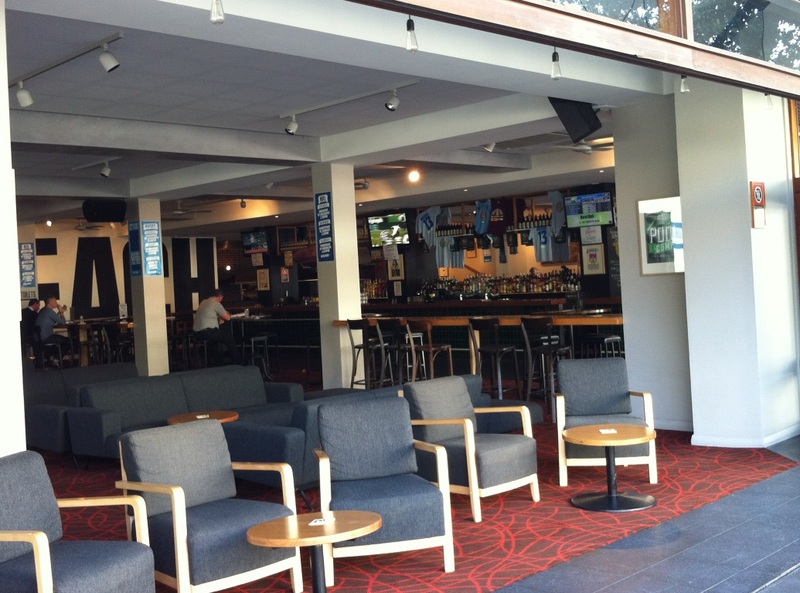 It’s been a while in between drinks for me at the Beachy, as I entered the sports bar in my final week in Oz. It’s obviously had a decent makeover without losing appeal to the locals looking for a lazy schooner. It’s also a great venue for a Sunday session in the Sydney summer. 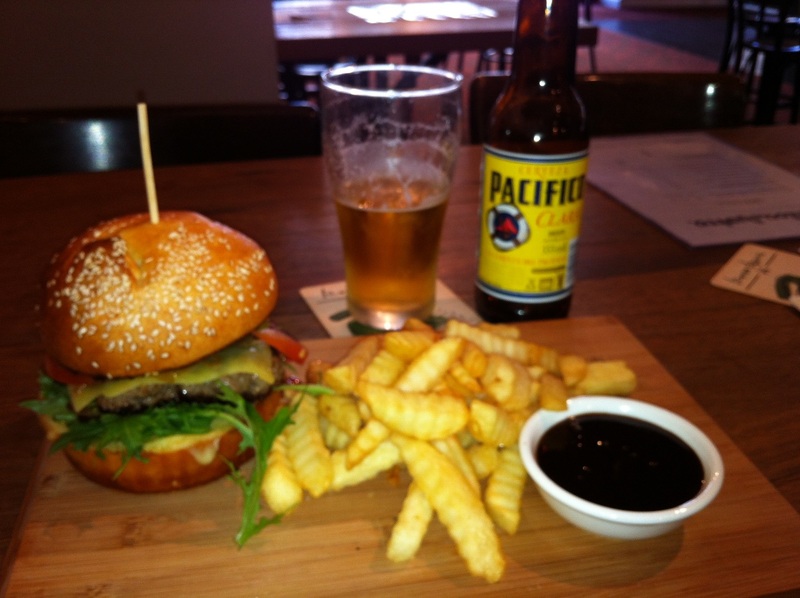 I had a burger as my final bite to eat in Bondi which was a ripper! Sensational is the best way to describe it. The beer I chose to accompany it was the probably the worst choice in my 14 years in Oz (yep, saved the bad call until the final week). It was a Pacifico from Mexico. I’m sure it’s been reviewed on this blog, suffice to say – get a glass of water instead of this, as it’ll probably taste better. Despite this, my experience at the Beachy was as it was back in the day – a beauty! Mrs kiwisinoz has some family in Sydney, so for my last weekend, we all went away for a short stay at Pretty Beach which is on the Central Coast of NSW. A small village at Pretty Beach contained a great restaurant called Yum Yum Eatery. They were fully booked, but they gave us the option of eating early and to be out early. With a rug rat in our party, it was the perfect plan. We had the degustation, of which every dish was mouth watering! The service was also top notch. All in all a highly recommended restaurant. Apart from the tacky name, they can be well proud of their restaurant. 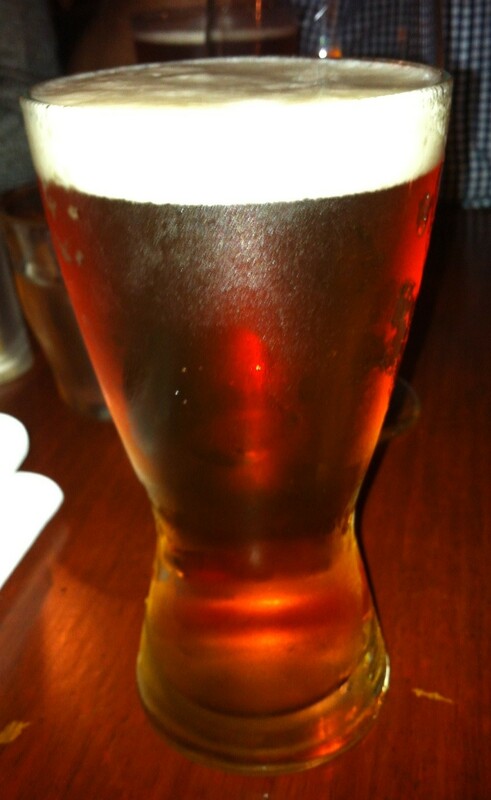 To top off the great dining experience, they had a gem of a local Central Coast craft beer from Six String Brewing Co. It was a Pale Ale. Wow! What a beer! This one instantly went into my top 3 of craft beers without a doubt. The initial hoppy hit is then backed up by a malty after taste that at first creeps up on you. To get the mix so right is a tribute to this brewer. Given it was so good, I announced “this is very sessionable”. I then proceeded to prove my point. I managed to knock off 5 of these gems in the short time we had allocated at the table. I hope they export to NZ soon. Go and hunt this one out to experience it for yourself, or head to Yum Yum Eatery at Pretty Beach. 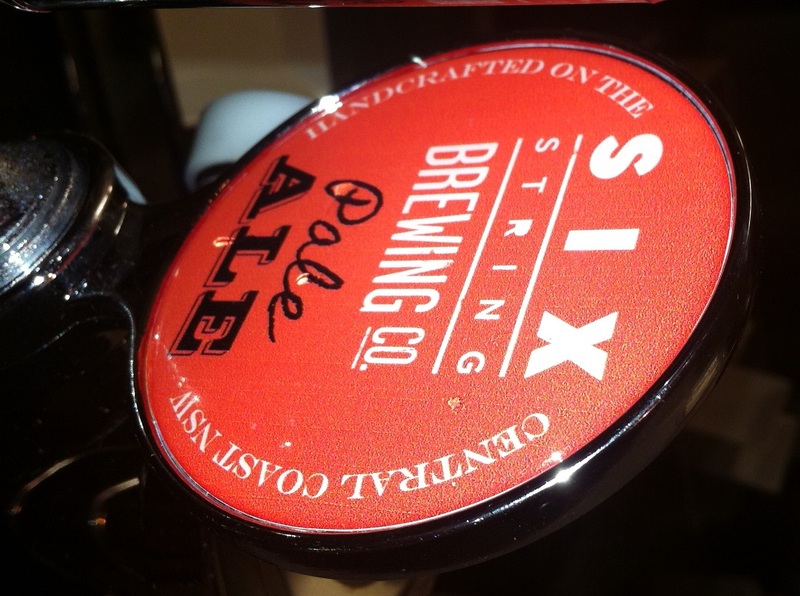 Six String Brewing Pale Ale – straight into the top 3! Therein ends my time on the dry continent (although Sydney knows how to put on a decent down pouring at any time of the year). Highlights that spring to mind are: Welcoming in the new millennium, Sydney 2000 Olympics, the greatest game of rugby ever (AB’s v Wallabies in 2000),…. there’s too great memories to think of. Now, onto Wellington. One of the exciting things for this correspondent is that Wellington has established itself as NZ’s craft beer capital with numerous craft brewers trying their hand and doing well, and the many specialist craft beer venues. As the resident NZ Botf correspondent I will report back regularly. 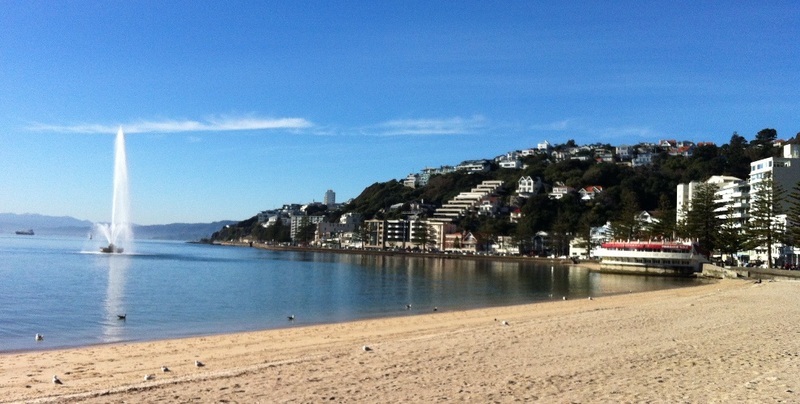 For those who haven’t been to Wellington, it’s a great place as its compact, cultural and very down to earth. Many people say it’s a small version of Melbourne with its cold weather, boutique (and often hidden) eating and drinking venues, and abundant cultural events. Here’s an excuse for craft beer lover’s to come to Wellington – Beervana is on August 9-10. This is NZ’s premier craft beer celebration with over 200 craft beers. This will be epic! (I will be retaining the name “kiwisinoz” even though I’m really only “kiwi” now).